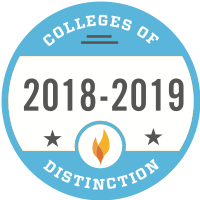 Each year, members of the Chestnut Hill College community gather to honor and celebrate the excellence of students from the School of Undergraduate Studies. 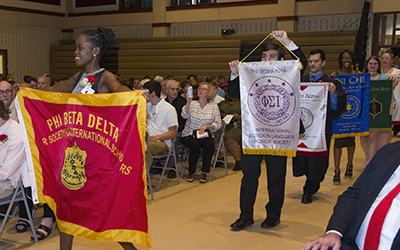 Students are recognized for their scholarly achievements and inducted into honor societies in various disciplines at the Honors Convocation. The program concluded with recognition of students for the Dorothea E. Fenton ’28 Memorial Award, which honors a senior known for their interest in others, kindness, friendliness and genuine care for the dear neighbor, and for the Saint Catherine Medal, which honors a sophomore or junior who represents the ideals of a Catholic college education through leadership and service. 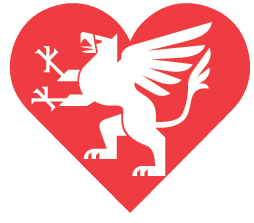 Nominations for the former were Giuseppe (Joey) Galantuomo, Andrew Hildebrand, Dorothy Brigid MacArthur-Thompson and Michaiah Young. 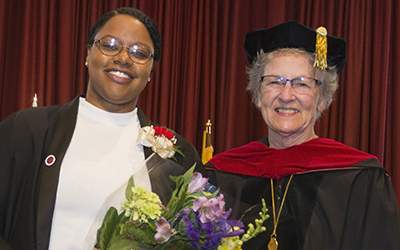 Michaiah Young ’17 (shown above) was the winner of the Dorothea E. Fenton Award. She majored in Criminal Justice at CHC and is a standout player on the women’s basketball team and member of the women’s track and field team, where she set the College record in the hammer throw event. 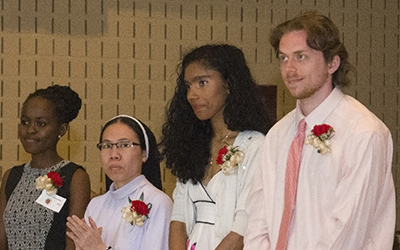 Nominees for the St. Catherine Medal were (shown below from left to right) Mercy Thurania, Sister Hai Nguyen, Megan Malvoisin and Andrew Conboy. Andrew Conboy ’18, was the winner of the St. Catherine Medal. He is an environmental science major with minors in chemistry and math who is committed to correcting environmental problems through innovative research. He says he is honored to even have been nominated and thrilled that he was chosen to receive this prestigious award.